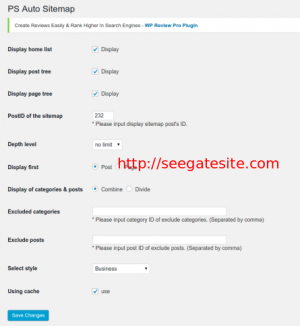 Seegatesite will share an article about how to create a table of contents wordpress. A blog site is no different from a book, create a list of the contents of a blog allows visitors to search for the article needed. The table of contents is identical to the sitemap on the website, the difference is if the sitemap easier for search engine bots to crawl our article, while the table of contents allows visitors to find the article. Usually the list of contents was made on a special page that is only used to display the title and sorted by category. 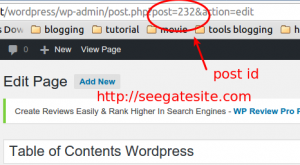 WordPress.org provides a plugin called PS Auto Sitemap, this plugin is used to compile a list of the contents of your blogs by category and title, so that visitors who want to find the article just go to the the page table of contents and search the desired title. 2. Create a new wordpress page and set title as “table of contents” . Then open html tab (Text mode) and write the following code. Copy the post id and go to ps auto sitemap menu (setting -> ps auto sitemap). Paste post id to “postid of the sitemap“. Adjust settings and styles as you wish. Now, you can display a list of the contents from your wordpress content.